REWIND SCOTLAND will return for its fourth consecutive year at Scone Palace, Perth on Saturday July 25th and Sunday 26th July with headline performances from Thompson Twins’ Tom Bailey and OMD, plus performances from The Orchestra starring ELO former members, Bananarama, Jimmy Somerville, Kim Wilde, Nik Kershaw, Sister Sledge, Belinda Carlisle, Five Star, Howard Jones, Altered Images, Hue & Cry, Kid Creole, plus many more big names, including for the very first time, ex-Rainbow lead singer Joe Lynn Turner, plus From The Jam featuring the legendary bassist Bruce Foxton. 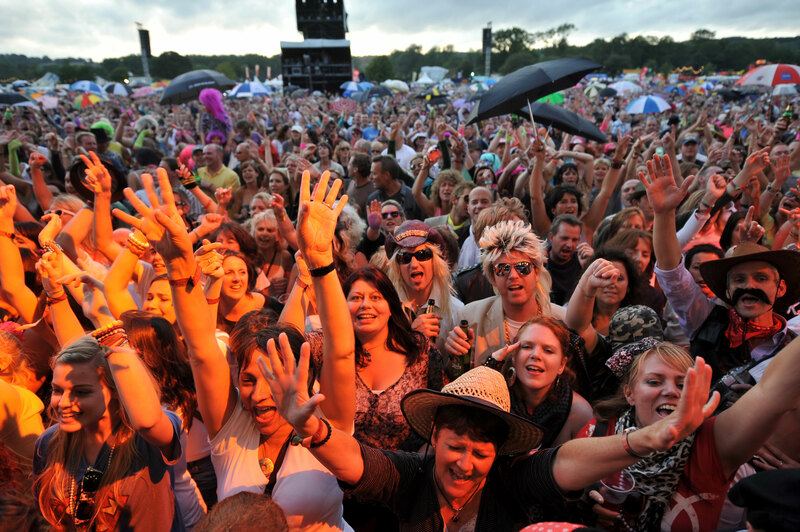 REWIND NORTH returns for its second year at Capesthorne Hall, Cheshire on Saturday 8th August and Sunday 9th August. Headline performances include Human League and OMD, plus a stellar line-up including The Boomtown Rats, Jimmy Somerville, Heather Small, Wang Chung, Bananarama, ABC, The Sugarhill Gang, Belinda Carlisle, Kim Wilde Soul II Soul, Dave Edmunds, Imagination ft. Leee John, Kid Creole, Howard Jones, The Selecter, John Parr, Dr & The Medics and many more, plus making his Rewind North debut – the one and only Chesney Hawkes! REWIND SOUTH at Temple Island Meadows, Henley-on-Thames will return for its seventh consecutive year on Saturday 22nd August and Sunday 23rd August with headliners OMD and Human League, plus star-studded performances from the likes of Billy Ocean, Kim Wilde, ABC, Bananarama, Go West, Soul II Soul, Midge Ure, T’Pau, Nik Kershaw, Hot Chocolate, Belinda Carlisle, and for the very first time, Black Box, Dave Edmunds, and Slim Jim Phantom from the Stray Cats, plus British Electric Foundation featuring The Noisettes’ Shingai Shoniwa, Joy Division’s Peter Hook, Heaven 17’s Glenn Gregory, Thomas Dolby, Fairground Attraction’s Eddi Reader and M’s Robin Scott (the latter best known for the worldwide smash hit single “Pop Muzik”), plus more big names!